The position of ultimate comfort while sitting is uniquely different for each and every student. 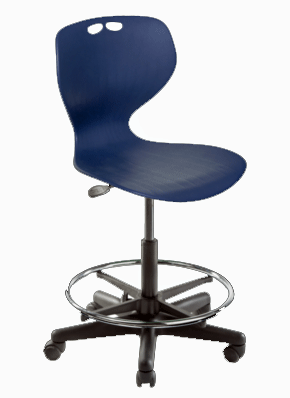 With a pleasing design, flexible backrest and lumbar curvature, the ergonomic design of the RAVE chair has addressed this challenge through providing four different seating positions; Forward-facing, Rear-facing or by sitting over the left or right side of the chair. This freedom of posture allows your students to remain in a healthy and comfortable seated position throughout the day.